Convert MP4 files to WMV online for free now. How to Convert MP4 to WMV Online? Select WMV as the output format you want to convert MP4 file(s) to. Click Download to save your converted WMV files. Step 1: Launch MP4 to WMV converter and add WMV files. 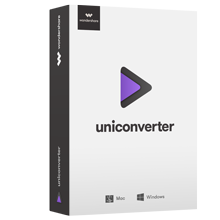 Launch Wondershare UniConverter (Wondershare Video Converter Ultimate) on your PC and you will enter the Converting tab by default. To add MP4 files to the software interface from PC, click +Add Files. Videos can also be added directly from the devices. Connect device and select it from drop down menu at +Add Files > Add from Device. Step 2: MP4 video editing (Optional). To add personalization to your videos before conversion, you can edit them using an array of functions. The icons for performing tasks like Trim, Crop, and Apply Effect are located under the thumbnail of the added videos. 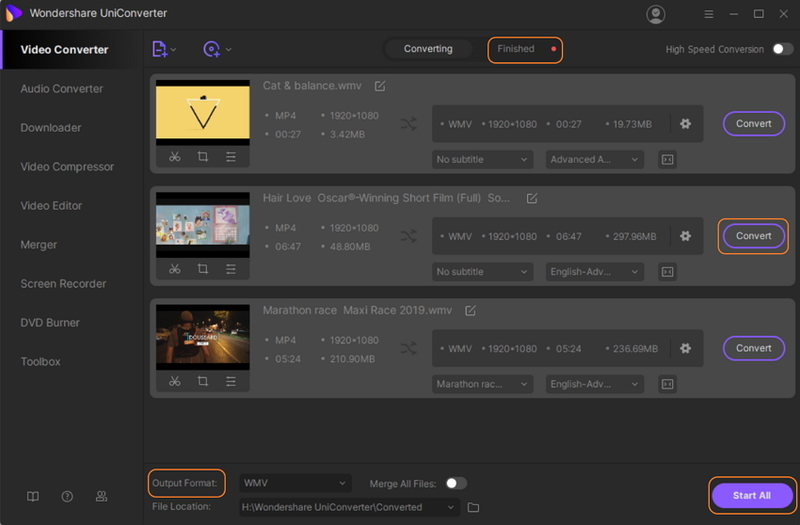 Using the program you can add subtitles to your MP4 videos, add watermark and perform other functions. Skip this step if no editing is required. Step 3: Select output format as WMV. Click the inverted triangle next to the Convert all files to: option, and select the Video tab, and then WMV format with the desired resolution. 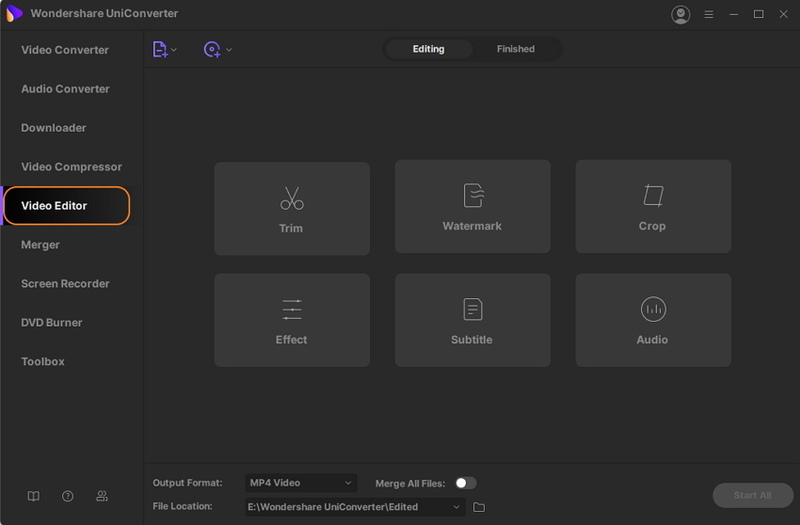 If you want to further customize the file by changing its frame rate, bitrate, and other parameters, click +Create Custom to open the Setting window. Select values and hit Create to confirm changes. Step 4: Convert MP4 to WMV. Finally, specify the location on PC where your converted files will stored at the Output tab. Choose Convert All to initiate the process. 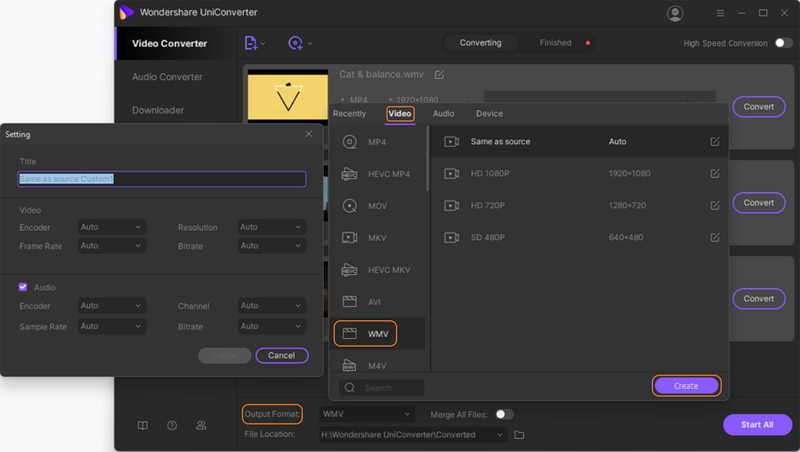 Wondershare UniConverter (Wondershare Video Converter Ultimate) facilitates professional conversion between a number of video and audio formats including MP4 to WMV.